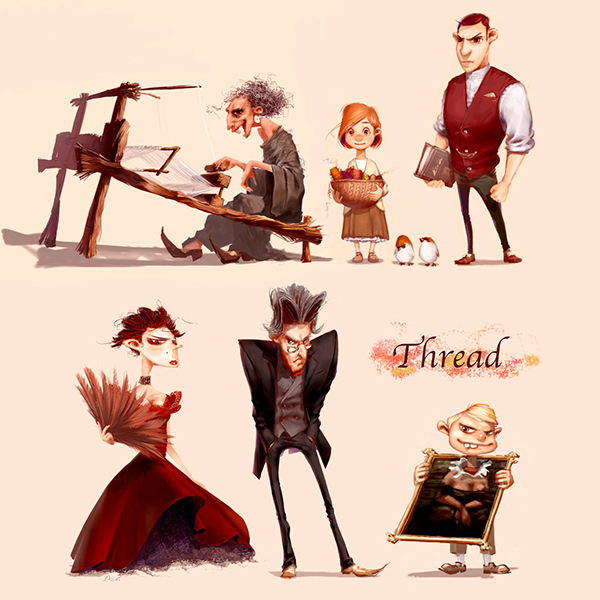 These paintings are for my short animated story ‘Thread’. 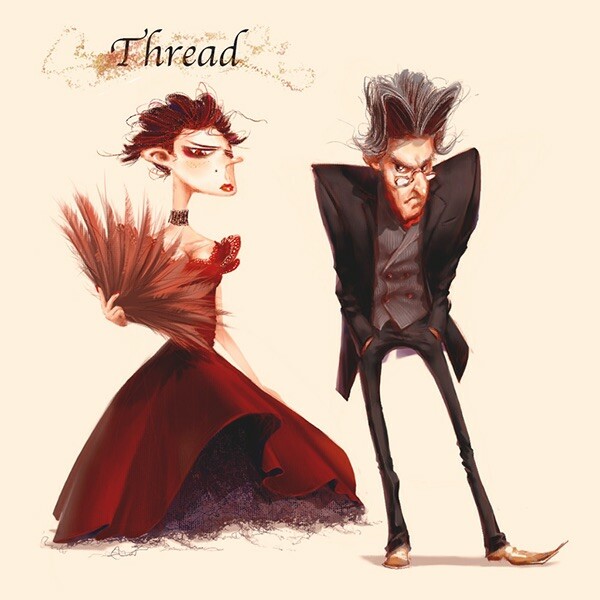 The story was inspired by the simple truth that it is difficult to untangled the thread. 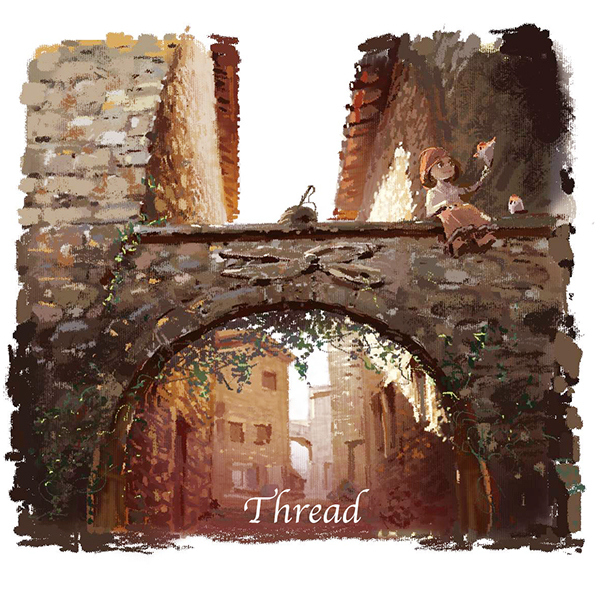 Tangled threads mean human's greed. 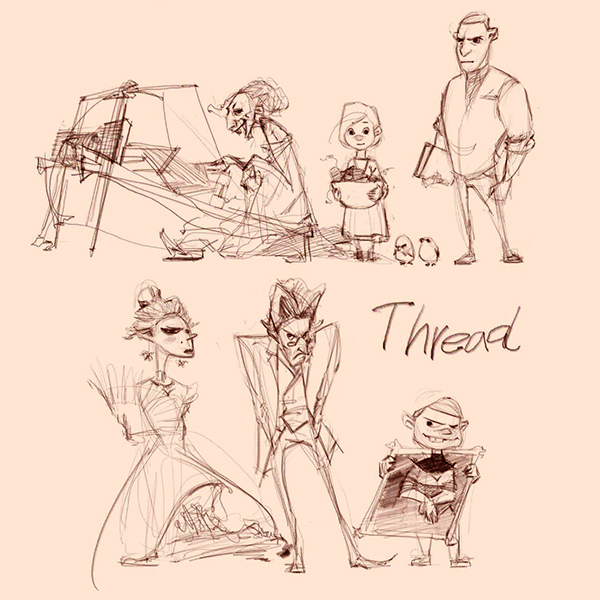 Six main characters are dressed up like those living in medieval France. The characteristics of them are completely different. I would like to express their features in their clothes and hair including meaning. You could recognize easily which character has a good personality. Because she is innocent, the little girl has a soft and clean hairstyle. 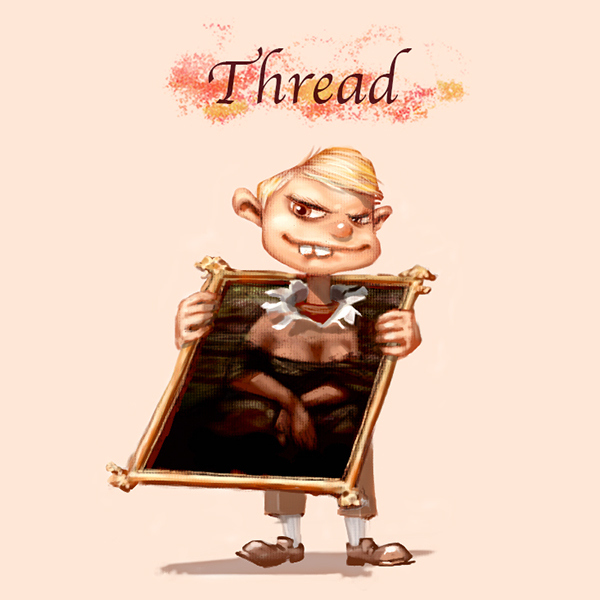 As greedy, other characters have dirty and tangled hair. They are trying to unloose their hair but it will be hard. The man character holding a book is a judge. He is a righteous and strict. 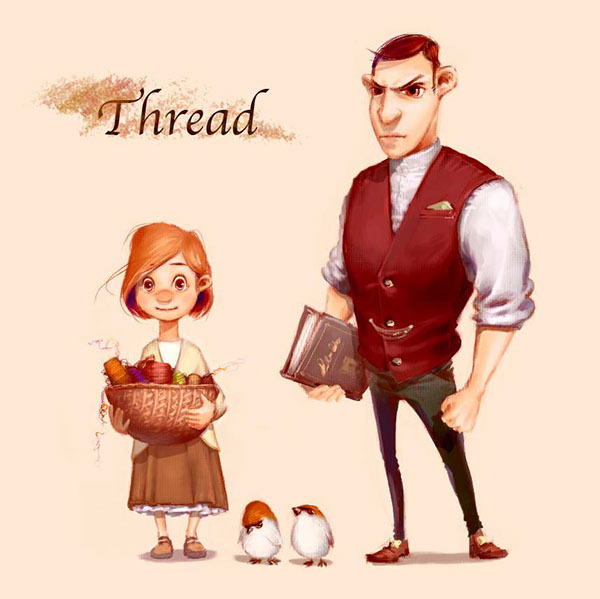 In this story, the main little girl will help untie the tangled threads of people. 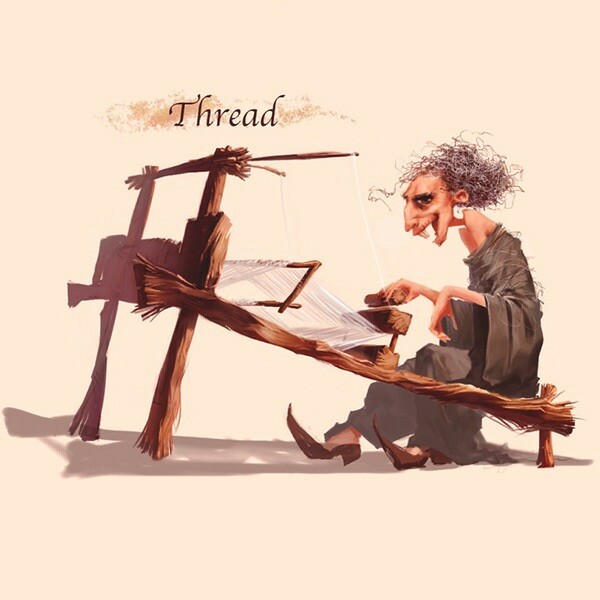 If someone is greedy in life, we can clearly see greed in their appearance.